The value exchange is a strategy used to obtain information from visitors by offering them something they perceive to be valuable (e.g. a free how to guide or check list) in return for contact information or other data that the website would find useful to gather from prospects or customers. 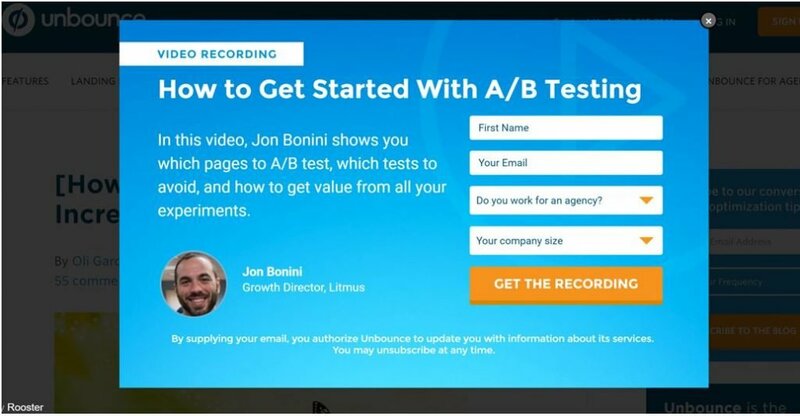 In the example below Unbounce use the approach on their blog.